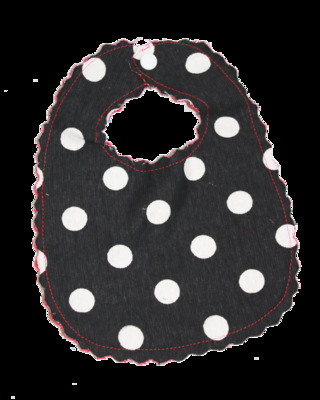 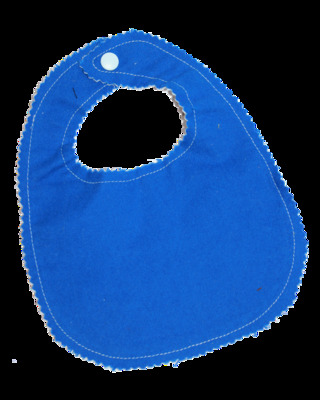 Our small round bibs are the right size for newborns to six months. 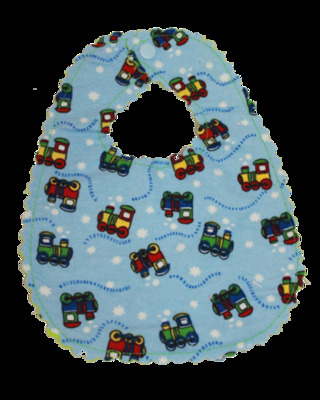 Each bib is made of two layers of a flannel pattern fabric and solid color cotton fabric to give extra absorbency for those leaking chins. 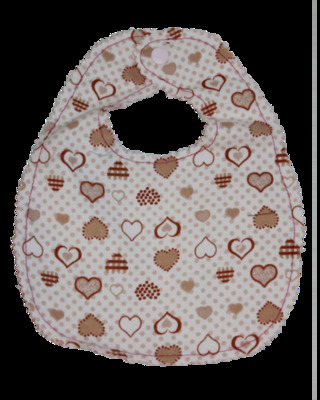 Some bibs have "frayed-cut edging" for a rustic look and will continue to fray after laundering.